Defining Invisible Disability | What is an Invisible Disability? 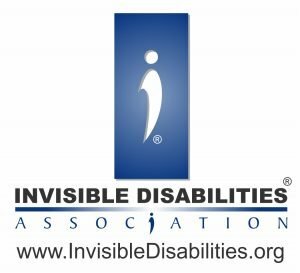 Home » From Defining Invisible Disability to Invisible No More — What is an Invisible Disability? Twenty years ago in 1996, my wife, Sherri, described herself as someone living with an “invisible disability.” It seemed like an apt description. At the time, we had never heard of the term before but we were embarking on a journey that would have at its core the mission of defining invisible disability and long-term goal of building awareness. After receiving a diagnosis of primary progressive multiple sclerosis and chronic late-stage Lyme disease in 1991, at the young age of 27, Sherri endured the stares and accusations and disbelief of strangers and friends that questioned how she could be disabled and still walk with seemingly unapparent outward signs of her disabilities. People would often scream at her when she parked in an accessible space or ignore her when she collapsed on the floor of a department store. So the phrase, “I have an invisible disability” became an apt description of what she was living with. As a tech guy, I decided to use some of the pamphlets Sherri wrote and build a website to help friends and family better understand what she was going through. Handouts such as “Multiple What? Untangling the Perplexities of Multiple Sclerosis” and “Don’t Judge by Appearances – Parking with Invisible Disabilities” becase the foundation for the InvisibleDisabilities.org website. Now we were well on our way to defining invisible disability, and our small site was a labor of love that could be easily shared with friends and family. We were pleased. That is when The Invisible Disabilities Advocate was launched, which became the Invisible Disabilities Association, also known as IDA. Almost immediately, 25,000 people a month started coming to IDA’s website and said that we put into words what they had been trying to tell their friends and families. Our defining invisible disability had progressed to an international organization and movement. Of course, the question most-asked of our organization is, “what is an invisible disability?” In general, the term “disability” is often used to describe an ongoing physical challenge. This could be a bump in life that can be well-managed or a mountain that creates serious changes and loss. Either way, this term should not be used to describe a person as weaker or less than anyone else. Nothing could be further from the truth. Every person has a purpose, special uniqueness and value, no matter what hurdles they face in life. In addition, just because a person has a disability does not mean they are disabled. Many living with these challenges are still fully active in their work, families, sports or hobbies. Some with disabilities are able to work full or part time, but struggle to get through their day, with little or no energy for other things. While still others may be unable to maintain gainful or substantial employment due to their disability, have trouble with daily living activities or need assistance with their care. According to the Americans with Disabilities Act of 1990 (ADA), an individual with a disability is a person who has a physical or mental impairment that substantially limits one or more major life activities; has a record of such an impairment; or is regarded as having such an impairment. Often people think the term disability refers to people using a wheelchair or walker. On the contrary, the U.S. Census Bureau Survey of Income and Program Participation (SIPP) found that 26 million Americans (about 1-in-10) were considered to have a severe disability, while only 1.8 million used a wheelchair and 5.2 million used a cane, crutches or walker. In other words, 74 percent of Americans who live with a severe disability do not use such devices. Therefore, a disability cannot be determined solely on whether or not a person uses assistive equipment. The term “invisible disability” refers to symptoms such as debilitating pain, fatigue, dizziness, cognitive dysfunctions, brain injuries, learning differences and mental health disorders, as well as hearing and vision impairments. These are not always obvious to the onlooker, but can sometimes or always limit daily activities, range from mild challenges to severe limitations and vary from person to person. In the process of defining invisible disability, it soon became clear that someone who has a visible impairment or uses an assistive device such as a wheelchair, walker or cane can also have an invisible disability. For example, whether or not a person utilizes an assistive device, if they are debilitated by such symptoms as described above, they live with an invisible disability. The bottom line is that everyone with a disability is different, with varying challenges and needs, as well as abilities and attributes. We all should learn to listen, instead of judging what we see. At the Invisible Disabilities Association, we don’t keep a list of specific illnesses and diagnoses that are considered invisible disabilities. There are thousands of illnesses, disorders, diseases, dysfunctions, genetic defects, impairments and injuries that can be debilitating. Therefore, all conditions that are debilitating are included when we talk about invisible disabilities. That is why our focus is not to attempt to provide a vast amount of information about thousands of specific conditions (there are plenty of amazing organizations that do that). IDA is here to provide awareness, education, connection and support for everyone who lives with a debilitating condition. We do this by offering articles, pamphlets, books, resources, radio interviews, video, seminars, symposiums and more to give hope and compassion to all who are living with invisible disabilities as well as information to help their loved ones better understand. IDA’s mission is to encourage, educate and connect people and organizations touched by illness, pain and disability around the globe. Hard to believe it has been twenty years yet there is still so much more work to do. Will you join us on this journey and envision a world where people living with illness, pain and disability will be Invisible No More? Copyright 2016 Wayne Connell – This article was first published on Disability.Blog, by Disability.Gov on March 30, 2016. Wayne Connell, the founder and president of the Invisible Disabilities Association (IDA), established IDA twenty years ago in 1996 out of the desire to educate friends and family about his wife’s debilitating illness. Soon afterwards, people around the globe began sending emails sharing how IDA had changed their relationships with their loved ones. He is co-author of the book, “But You LOOK Good, How to Encourage and Understand People Living with Illness and Pain.” Wayne’s background fueled his passion for helping people living with illness, pain and disability. His experience includes that of a professional, multitasking husband caregiver with an extensive background in management, media and technology. This man on a mission quickly launched IDA into a world-wide outreach for millions living with invisible disabilities. Make sure you check out IDA’s website for additional resources and stories at www.InvisibleDisabilities.org. Share your personal video story with us at www.InvisibleNoMore.tv. You can also be part of other people’s stories by joining them atwww.Facebook.com/invisibledisabilities or becoming a member ofInvisibleDisabilities.Inspire.com. Join IDA at our 2nd annual Brain IDEAS Symposium on Aug. 5. Invisible Disabilities Week is Oct. 16-22. Our 9th Annual Awards Gala, “Jazzed About You” will be Oct. 21. Join us for Invisible Disabilities Week each October. Don’t miss the Annual IDA Awards Gala and the Brain IDEAS Symposium.